I'm a fan of crime novels, but picking the right one can sometimes be tricky. A good story combined with a nice paperback cover is sure to get my attention, but it's not until you actually start reading that you notice if it's any good. At that point things can go either way. A crime novel that looked very promising can disappoint, while a novel that you did not really expect too much of can surprise you. 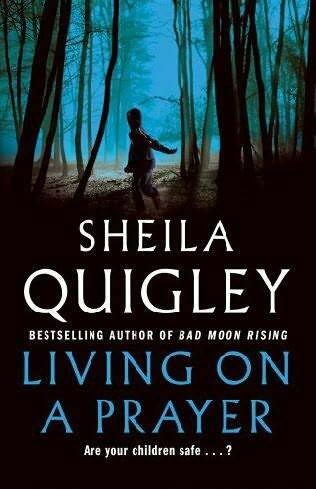 Living on a prayer (2006) by Sheila Quigley falls into the latter category.